Super deep gloss looks like a masterpiece of diamond's glaze. Beautifully and persistently hard, merge into paint. 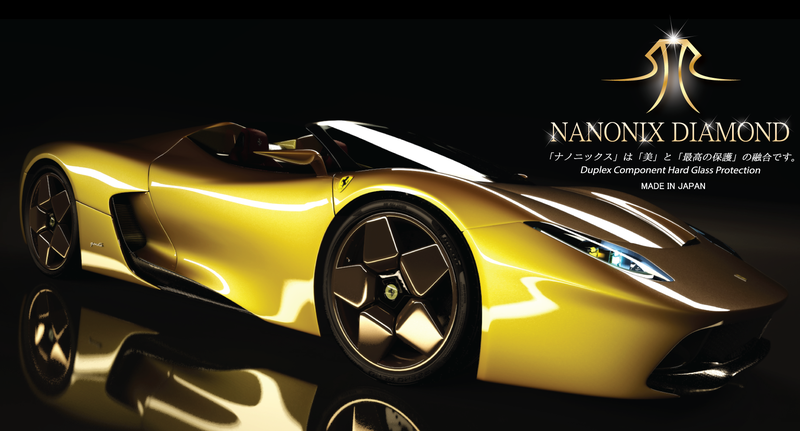 This is "NANONIX PRESTIGE" brings out the highest performance glass-based body coating. 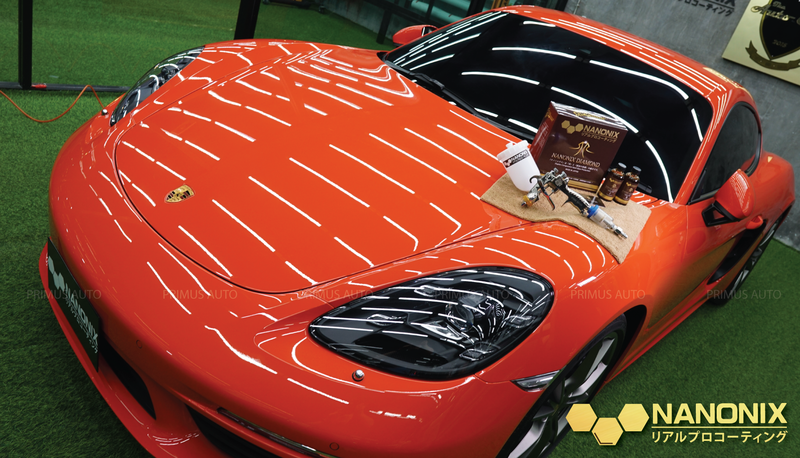 Achieve mohs hardness 9 super harden coating film is not only superior to anti-scratch but also protect from UV rays, acid rain and any other elements. Also super water repellent top coat has dense fluorine ingredient makes smooth film and brings out water repellency and oil repellency, achieves long lasting anti-fouling performance. 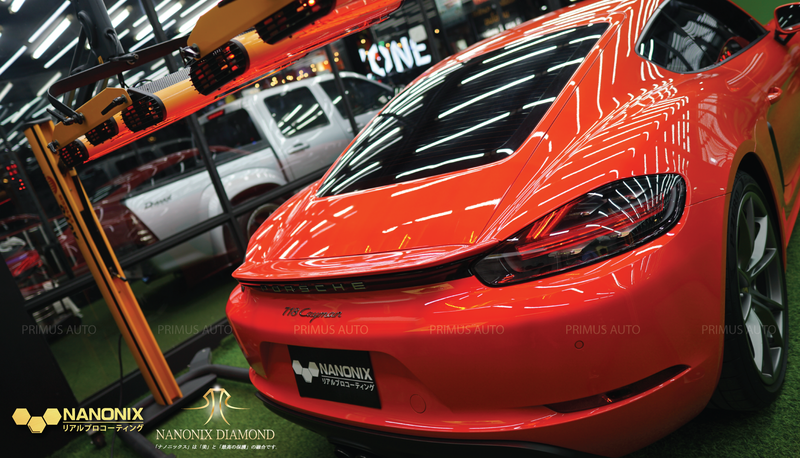 a state-of-the-art inorganic glass-type coating causes water to glide off and drain smoothly removing dirt from auto bodies effectively. achieving the best dirt resistance possible. 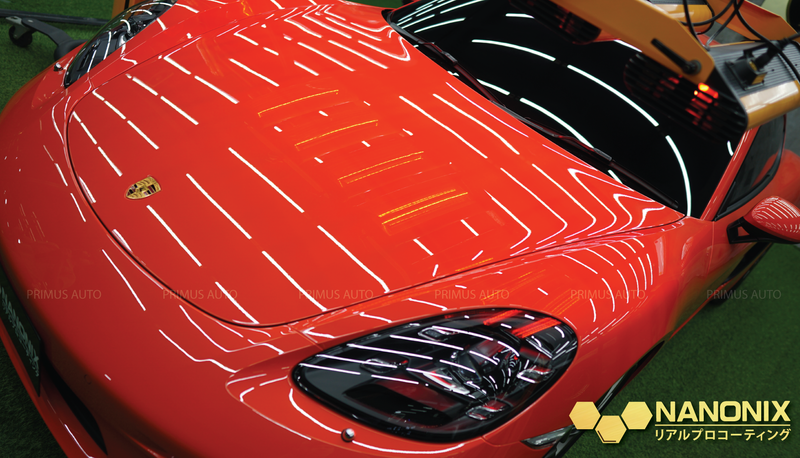 superior weather resistance allowing to maintain visually appealing results. 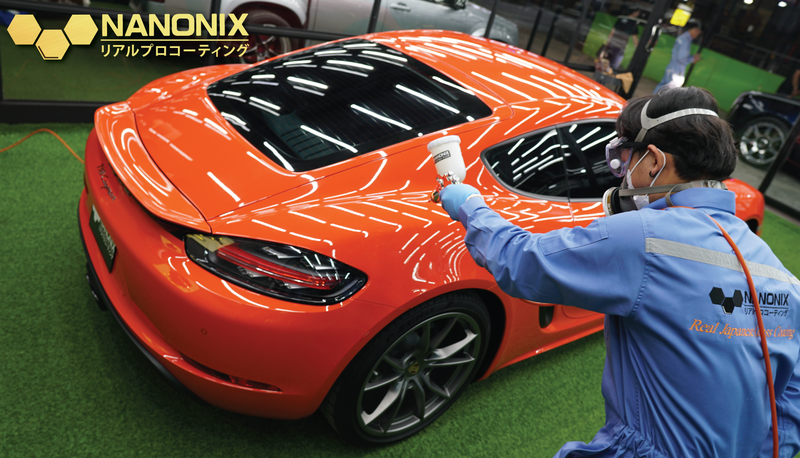 In addition, final results are significantly improved by preventing unevenness and scratches that can frequently become major issues when working on darker colored auto body surfaces. 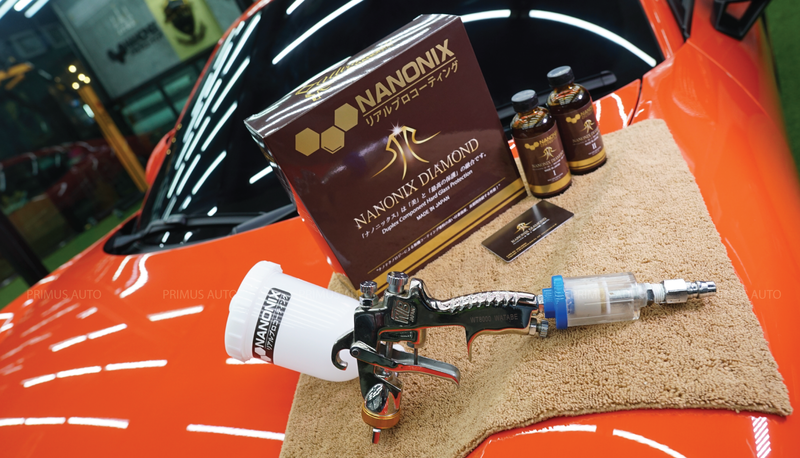 NANONIX provides an innovative and high performance hard coating – Brings out the metallically shine like crystal glass and supreme protection to paint surface for the long lasting period. This is Advanced Modified Silica Construction merged into the paint surface. 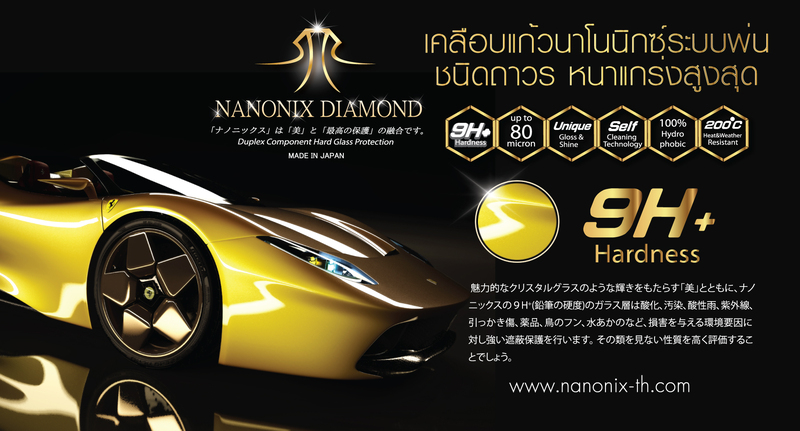 Besides ‘Beauty’ creation that shines like fascinated crystal glass, NANONIX’s 9H (pencil hardness) glass layer performs a strong shield protection against any damaging environmental elements such as oxidation, contaminants, acid rain, UV rays, scratches, chemicals, bird droppings and water deposits. Copyright by Primus Auto Co., Ltd.